When macarons are mentioned, most of us would immediately think about a layer of ganache fillings sandwich between 2 almond meringues. This was not how macarons used to be. Today’s perception of macarons are actually influenced by Ladurée (pastry shop in France since 1862). Ladurée remains as one of the most established macarons makers and is recognize internationally. You should see the amount of tourist lining up to buy them !!! During one of my trip to Paris, I saw that the line in front of Ladurée was short and quickly took the decision to queue up for these scrumptious babies… it took about 30 minutes before I got to my turn (YES – even short queue takes 30mins). After selecting some of their popular flavors, I ran out of the shop gleefully and took my first bite. It was a disappointing experience for me. 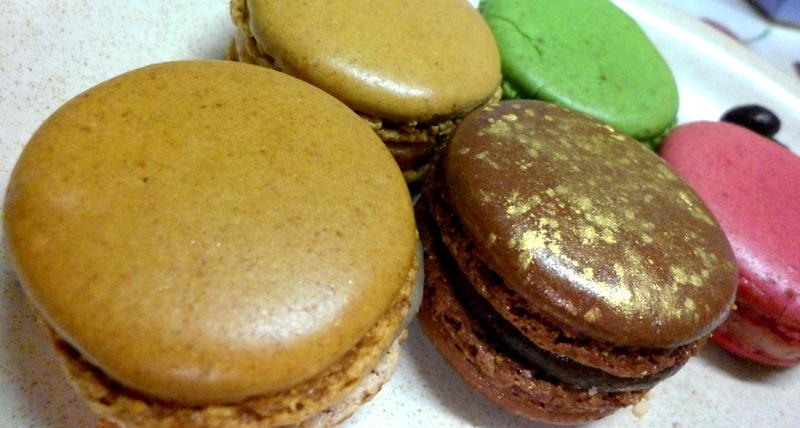 Perhaps it was my first time trying macarons and I had really high expectation or not knowing what to expect. It was extremely sweet to the point that I felt like I got sugar shocked or something. The following bites were with less enthusiasm. So, that was the last time I bother with macarons. I think that was about 4 – 5 years back. This year, a good friend (Ms. J) asks if I could bring back some Ladurée for her to try. So, I told her I’ll try to make my best effort to make time (business trip = no time for shopping). Unfortunately, I didn’t manage to find the time. 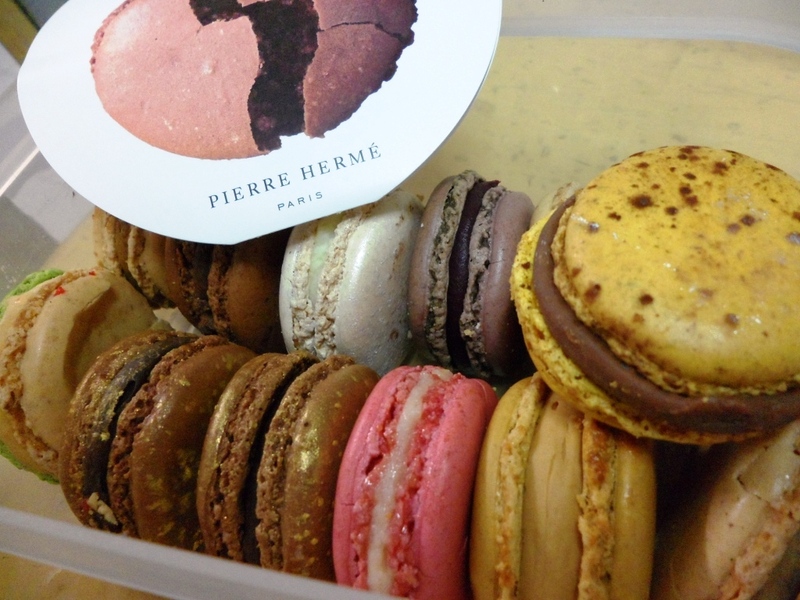 But, when I come across Pierre Hermé’s shop and no queue, I ran in to buy 14 pieces. I know it was not what she wanted, but, I thought better than none. And, I did hear a lot of this chef, especially from some of my clients. In the world of macarons, Pierre Hermé needs no further introduction. He was the youngest to be ever named theFrance’s Pastry Chef of the year and also the ONLY pastry chef to be awarded ‘Ordre des Arts et des Lettres’. Interestingly, he didn’t start his first shop in France but in Japan. His first pastry boutique is in Tokyo on the year 2000. He only opens his first shop in Paris in 2002. The reason was supposedly due to his contract with Ladurée as he used to work there. I guess it’s only fair. I knew it is not easy to carry these delicate pastry and they have the tenancy to get crushed or too moist over time. So, I was very careful to pack them in a Tupperware (YES – I carry Tupperware with me when I travel especially for business trip) and lo and behold ! 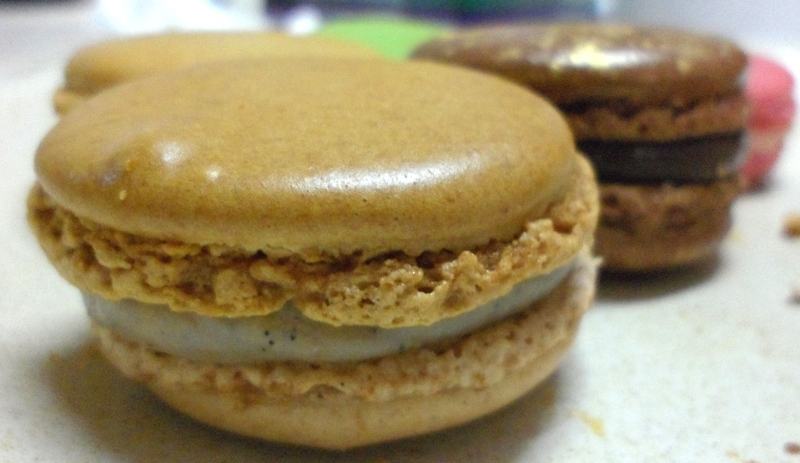 I manage to bring back macarons which are still fresh looking and Not crushed !!! bear in mind that I bought it one day before I flight + afternoon flight the next day + 13 hours flight + one more day before I eat them = at least 64 hours. Amazing right?